Moody Blues singer and guitarist Justin Hayward joins Johnnie for a chat about the band's classic hits including 'Nights in White Satin', which was re-released in late 1972. 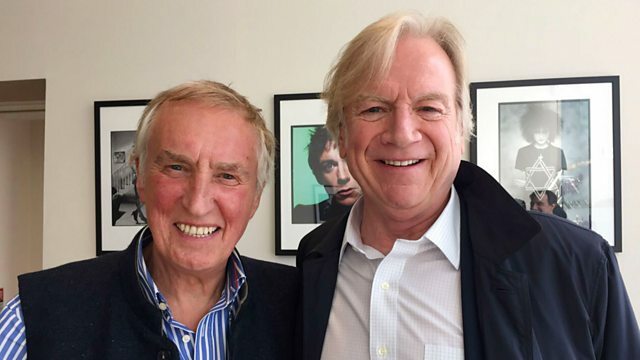 Moody Blues singer and guitarist Justin Hayward joins Johnnie for a chat about the bands classic hits including Nights in White Satin which was re-released in late 1972. Justin talks about how the song still moves him to tears and how the band created their famous sound with the Mellotron keyboard. Also on the show, Johnnie digs out some of the best of the BBC archive. Plus another listener helps to add a classic seven-inch single into Johnnie's Jukebox. 25 Years Of Rock 'N' Roll 1971. The Best Michael Jackson & Jackson Fi. 70's Number Ones Vol 3. The Definitive Blues Brothers Collection CD1. 20 Number 1's Of The 70's (Various). The Singer & The Song (Various Artists). The Greatest Hits Of 1970 (Various). Kenny Rogers - The Very Best Of. Heartbeat: Love Me Tender (Various). Hits Of ... 69 & 70 (Vol.3). Days Of Future Passed (Deluxe Edition). Johnnie Walker curates his own personal jukebox, filled with classic seventies seven inches.